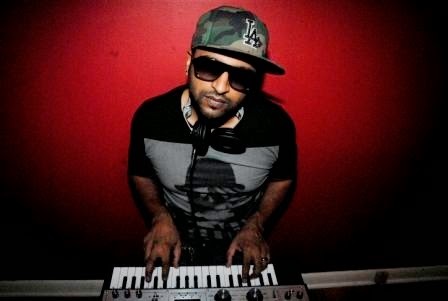 South African born DJ/Producer Kimesh Desai aka Camouflage is an artist dedicated to the House Music cause since 1997. With over 15 years involvement, Camouflage has worked himself from the dance floors of Johannesburg, where he spent many weekends cultivating his love of House Music before acquiring some turntables and a mixer and moving to London in 2003. Once in London, after attending various parties, he finally began to land gigs at some of the top nightclubs in London, like Pacha and Ministry of Sound, finally landing a residency in Ibiza in 2007. Starting up Chicago House Music FM (CHFM) in September 2008, Camouflage opened the first show, and after several weeks of continuous support and success, kicked off a second show after only 2 months. Live from Scotland, London, Eastborne and Manchester, a whole new world began to unfold for Camouflage and CHFM. Having very little music knowledge and armed with just that of being a DJ, he landed his first release in 2008 on Flexual Records (South Africa). He began to spend more time on the radio and focus on CHFM after that first release and has since released tracks on Guesthouse, Tango, Flapjack, Phobic, Deepfunk, Funkfield with full support from some of the biggest names in the industry. Camouflage moved to the Florida next, giving even greater recognition to CHFM, which after only 3 short years in the USA, now hosts over 50 DJs from across the globe and over 100,000 listeners worldwide. CHFM now hosts shows in USA, UK, Europe and South Africa and is gaining a huge following by people looking to share their love of House Music. CHFM has hosted a few events too, spreading the love at South by Southwest (SXSW), inter Music Conference (WMC) another points around the world. CHFM Records have been putting out new talent releases as well as growing the scene in respect towards the ethics of House music. Camouflage recently started a second label, Keep It Real House Music, which aims to grow the talent into positive and powerful producers to help make an impact for themselves and those around them. Camouflage is all about House music. He has dedicated every second he has to growing and projecting the positive vibe of the music, the self awareness and growth potential it has when you believe in it. Camouflage believes that House Music and Chicago House Music FM (CHFM) is not about a specific lifestyle or trend but rather a way of life to actively shape your lifestyle to be the best you can be at it. Recently.